Electronically Operated GAS IT Tanks - GAS IT Leisure Gas Bottles, Gas Cylincers and Gas Tanks - Catering, Motorhome, Campervan, Caravan, Farrier and Road Repair Refillable Gas Solutions. This section is for our GAS IT EASYFIT ELECTRIC outlet tanks which are our normal red Vapour outlet tanks, as fitted to vehicles to run the gas appliances, which come with our Electric Remote Solenoid Outlet Option instead of our traditional Manual Outlet Tap Option. 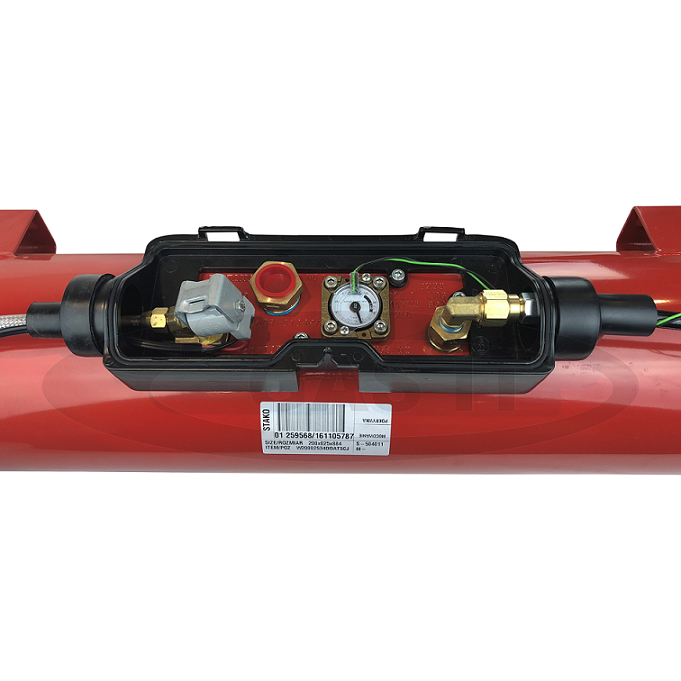 GAS IT Tanks do not come supplied with any gas level sender unit, either a manual or remote version will need to be purchased separately. Another very quick and easy to fit, self refillable gas tank from our GAS IT EASYFIT range. We are waiting for this item to at our warehouse. We currently estimate this item to be back in stock during the week of 30 Mar 2019. Delivery of this item would be after this date. We are waiting for this item to at our warehouse. We currently estimate this item to be back in stock during the week of 31 Jul 2019. Delivery of this item would be after this date. We are waiting for this item to at our warehouse. We currently estimate this item to be back in stock during the week of 17 Sep 2017. Delivery of this item would be after this date. We are waiting for this item to at our warehouse. We currently estimate this item to be back in stock during the week of 25 Apr 2018. Delivery of this item would be after this date. We are waiting for this item to at our warehouse. We currently estimate this item to be back in stock during the week of 16 Jan 2019. Delivery of this item would be after this date. We are waiting for this item to at our warehouse. We currently estimate this item to be back in stock during the week of 15 Jan 2018. Delivery of this item would be after this date. We are waiting for this item to at our warehouse. We currently estimate this item to be back in stock during the week of 15 Feb 2019. Delivery of this item would be after this date. EASYFIT-ELECTRIC - 315mm X 70 ltr GAS IT Horizontal Vapour tank with feet. We are waiting for this item to at our warehouse. We currently estimate this item to be back in stock during the week of 17 Feb 2019. Delivery of this item would be after this date.